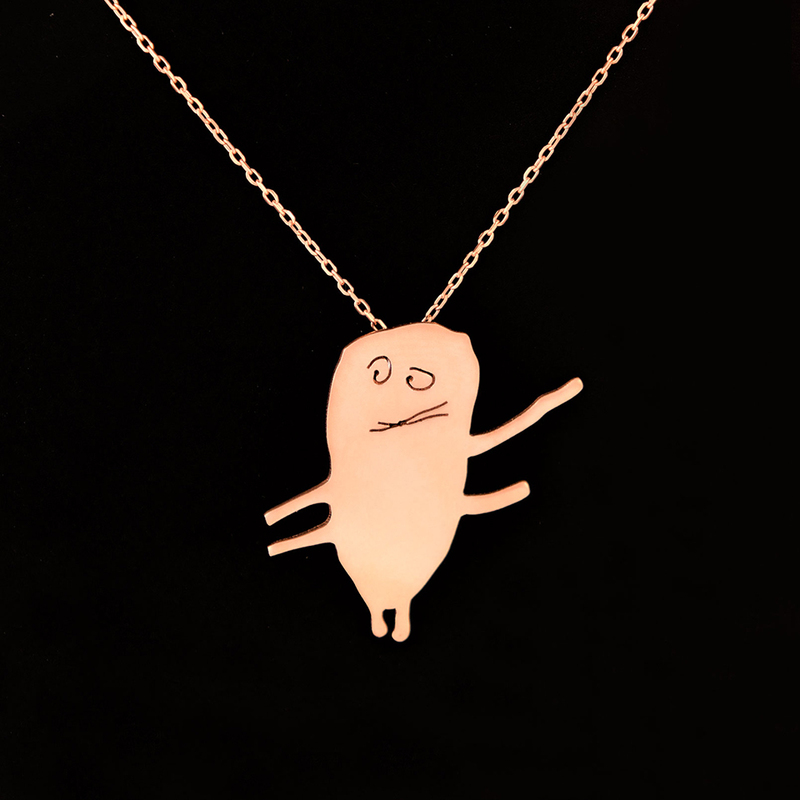 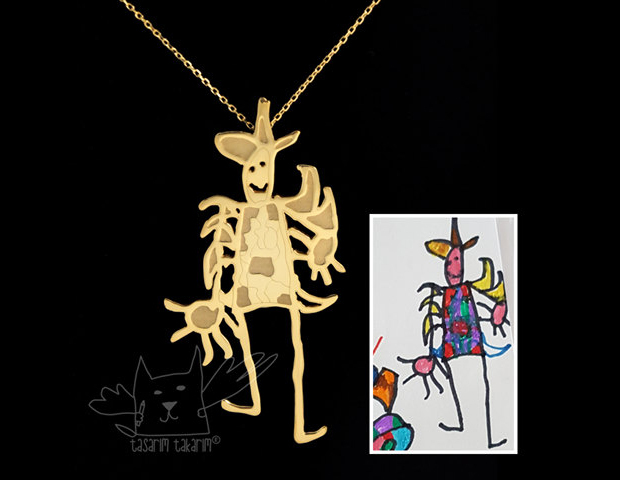 Etsy shop Tasarim Takarim specializes in custom jewelry based on children’s drawings (or yours!). 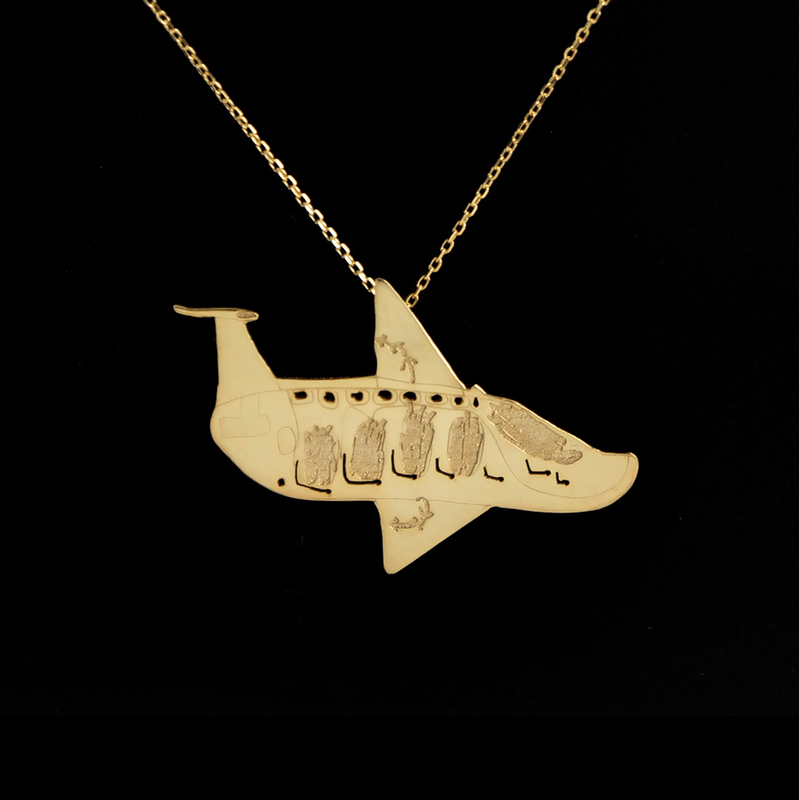 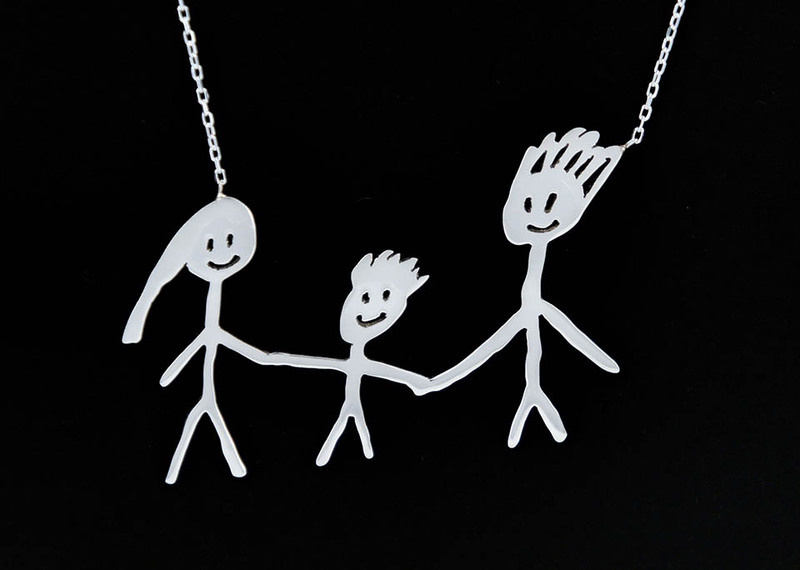 You can ask them to turn the doodles into pendants, bracelets, cufflinks, tabletop sculptures and more. 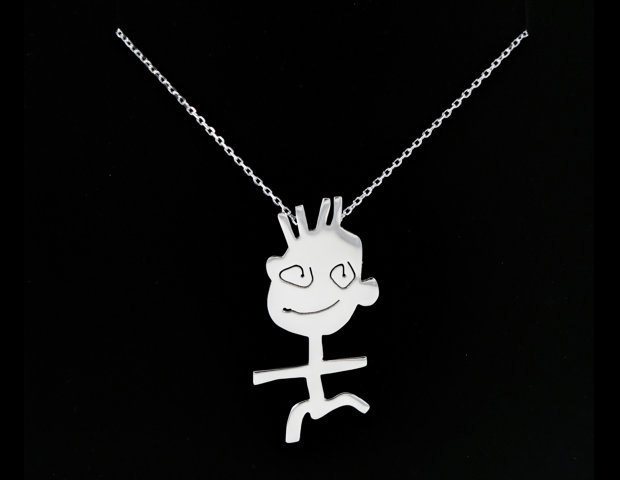 The shop also accepts handwriting, handprints and footprints.